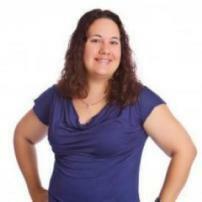 Mandy Robinson has been a freelance writer for eight years. She will never shy away from a good story and loves to write on the best reality TV spoilers, celeb news and more. She also loves to travel and write reviews of the places she goes on these trips. Mandy is the mom of two young girls and the wife of a police officer. You can email her at according2mandy@gmail.com. She also runs two websites, which are http://according2mandy.com/ and http://www.thedestinationseeker.com/.